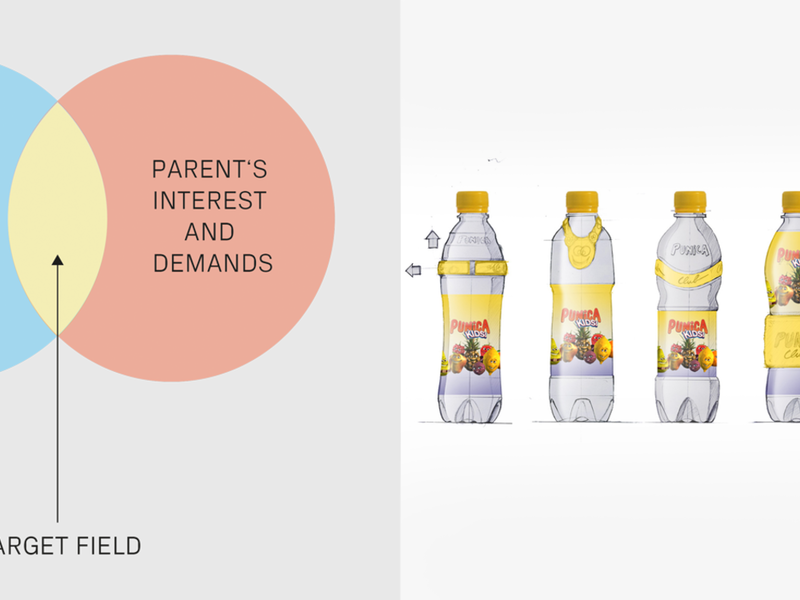 With Punica we developed the concept of an adventure bottle and oversaw the design of the bottle from the first sketches through to its implemention on the production line. 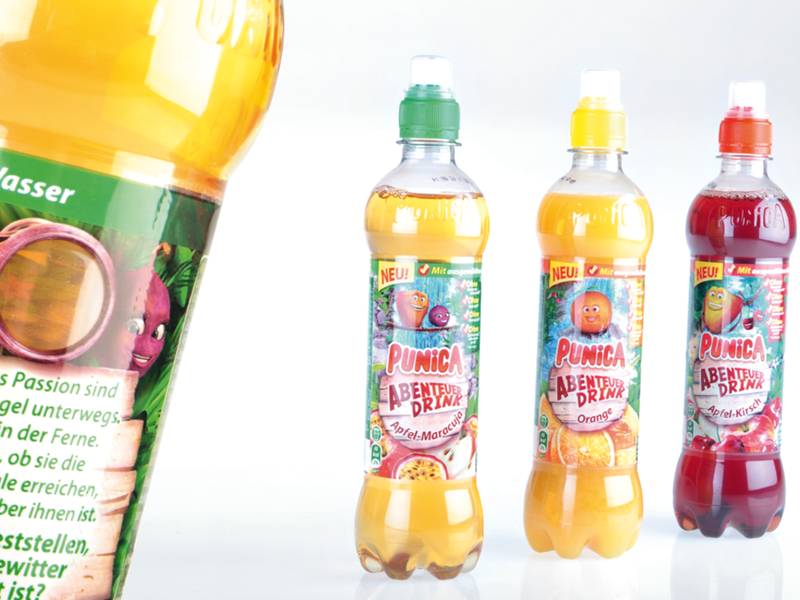 The Punica adventure bottle stands out from the competition not just due to its enormous height. 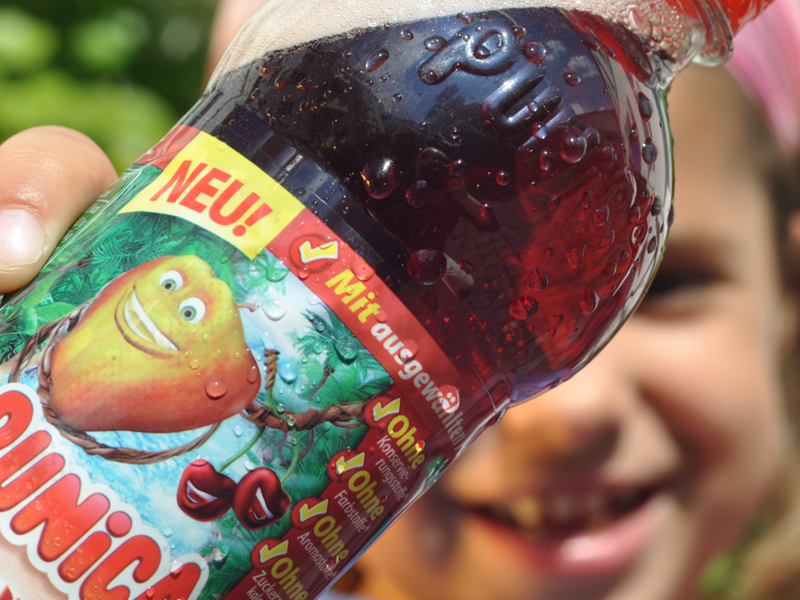 The generous design of the label puts the brand at the forefront and even has something for our little ones to discover on the reverse side.